In this interview, Ary Suhandi, Executive Director of the Indonesian Ecotourism Network (INDECON), shares his insights on tourism development in Indonesia. Mr. Suhandi’s work has involved establishing and supporting ecotourism, community-based tourism, and conservation education programmes. As a nationally and internationally recognized expert in nature and community-based tourism, Ary provides valuable lessons. Key “ingredients” for developing courses to educate the community. Ary, when did you discover your passion for sustainable tourism? Who got you interested? I was still a student, when I spent years of life in research and conservation of Orang Utan in Sumatra. The forest where I used to live was close to village areas. Often during my stay, together with other researchers, I went to local schools to share my experiences. When I shared my knowledge, it was a shock to me that many of the school children had not learned about the biodiversity that lived in the forest. I realized that it would take more than just conservation to save the forests. The forest and the people living around it cannot be separated; they are integrated and depend on each other. Thus we need to protect them together. However, I did not know what could strengthen this mutual relationship until I actively guided visitors to the forests for bird watching. They showed me how visiting the forests can become a powerful tool to increase respect for nature and to promote the values of biodiversity to others. That’s when I began to create more education and conservation activities for my guests and local people. INDECON, the Indonesian Ecotourism Network, has been promoting ecotourism in Indonesia for over 20 years. As one of the founders of INDECON, what motivated you to create the non-profit organization? In 1991, I was assigned by Conservation International (CI) to help organize the first ecotourism seminar in Indonesia. Three years later I was asked to join CI’s Indonesian chapter. In 1995, INDECON was formed together with two friends, one was operating alternative tours with me and another one was a tourism observer at that time. My motivation is to promote ecotourism as an engine for conservation and bring people to understanding biodiversity and habitat conservation. During INDECON’s journey, the organization has supported local communities who live close to conservation areas by creating jobs and increasing income. I was often the one who was learning from the local people. I formed a deeper understanding of the challenges that are present when trying to balance conservation and personal matters. How has tourism in Indonesia changed since then? It took us more than 5 years to convince the government that ecotourism is both beneficial and feasible for Indonesia. It was a significant turning point when we were able to convince the Minister of Culture and Tourism to attend and speak at the Ecotourism Summit in Quebec in 2002. Now, the Minister has created a specific division to support ecotourism development. Ecotourism with a community based strategy is the most appropriate way of approaching a biodiverse area located beside high density settlement. Developing and promoting ecotourism in Indonesia must incorporate a broad spectrum of sustainability priorities. In addition to conservation, other important aspects we must consider are social economy, cultural preservation, gender, among others. As the current Director of INDECON, is there any sustainability initiative which you are particularly excited about? One of the most inspiring sustainability initiatives to me was probably my experience helping the local community of Tangkahan at Namo Sialang village. I had the opportunity to create ecotourism for the community as a way to protect the forest and livelihoods. Tangkahan is located at the edge of Gunung Leuser National Park in North Sumatra. Local communities have been practicing illegal logging since the economic crisis in 1998. Earning about 8 to 10 millions per month, we were pessimistic about the feasibility to address this challenge. It took us three years (from 2000-2003) to convince local communities to stop cutting trees and introduce ecotourism. Living together with the local community allowed us to understand their society and culture in a deep and meaningful way. We directly assisted the community in planning, developing tour products, improving capacity, and marketing their products. We also assisted a local organization called Lembaga Pariwisata Tangkahan (LPT), which is now probably one of the best established ecotourism community-based organizations in Indonesia. Through partnership with the National Park (the first partnership example of its kind in Indonesia), more than 7,000 foreign tourists visited. Local community members now own their own lodging, provide guide services, organize tours. The most recent initiative that I am excited about is the engagement occurring in Flores. I have been inspired and personally assisted local tribes in Flores for over 10 years; however it wasn’t until four years ago that I had the chance to focus on developing the ecotourism connecting Komodo National Park in the west with Kelimutu National Park in the centre. We worked with at least 6 villages in three districts to develop tourism as an alternative and sustainable way to support cultural preservation. Some of these communities are now on their tracks to revive their cultural assets and improve their livelihood. You have worked with governments and held posts in tourism both in Indonesia and with international organizations. Which did you enjoy the most? INDECON positioned itself as strategic partner of the government, both local government and national ministries. 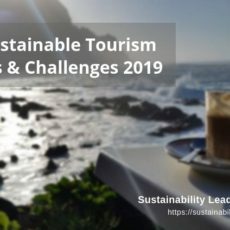 Sustainable tourism development needs strong commitment from the government to assist with matters such as legality, infrastructure, and facilities. One of the most interesting experiences was when I participated in the initiation and design of the Destination Management Organization (DMO) program by the Ministry of Tourism. In 2006 Pangandaran was severely affected by a tsunami. After the natural disaster the area was able to revitalize its tourism. This led the Ministry of Tourism Indonesia to create a nation-wide, multi-year program to improve tourism management in 15 destinations in Indonesia. I also enjoyed very much getting involved in international organizations and building networks with ecotourism stakeholders because it allowed me to meet many different people and engage with different cultures, which definitely has enriched my knowledge and experience. 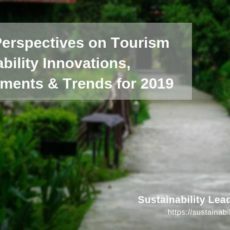 In your view, what is the best way to measure the success of sustainability initiatives in tourism in Asia? One of the success indicators would be the number of countries which are committed to sustainable tourism development. In the future, Asia will be one of the leading regions for tourism development in the world; therefore I believe that the Asian Ecotourism Network (AEN) plays an important role in generating support to implement sustainable tourism development in Asia. Which five “ingredients” do you consider the most important when developing courses to educate the community about sustainable tourism activities? 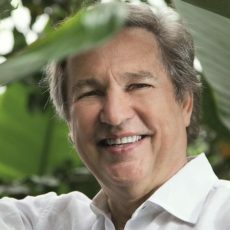 Your thoughts on the Sustainability Leaders Project? Simple and inspiring. Stories from inspiring people are very important now and in the future. Considering all the negative events and actions in the world, we need to make people understand that there are still people with integrity and high spirits in keeping the world in good shape and harmony. I think it is our responsibility to spread news about these people to the global society; to inspire people to do the same in their own league, no matter how small it is. Learn more about the Indonesian Ecotourism Network (INDECON) here. Enjoyed our interview with Ary Suhandi of INDECON, on sustainable tourism development in Indonesia? Share and spread the word!